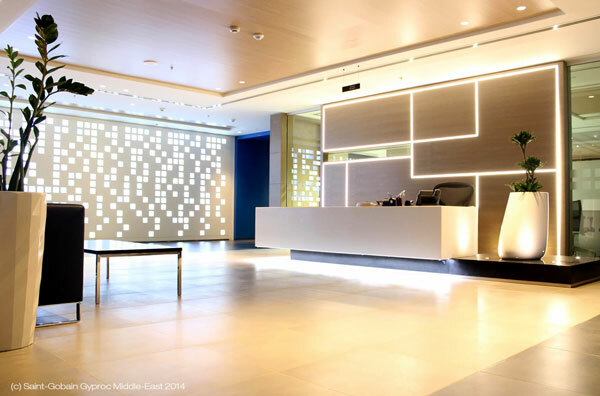 High performance Gyproc partition and wall systems have been chosen by one of the Middle East’s largest and most respected banks to provide outstanding fire, acoustic and impact performance at its new showpiece corporate headquarters. The impressive new building for Oman Arab Bank in Muscat, built at a cost of US$ 57million, is designed to reflect both the bank’s status and the historic architectural style of the region. It is constructed over 9 floors with the ground floor/mezzanine given over to the main entrance and reception and the upper 8 floors providing general and executive office space for the various bank departments and divisions. 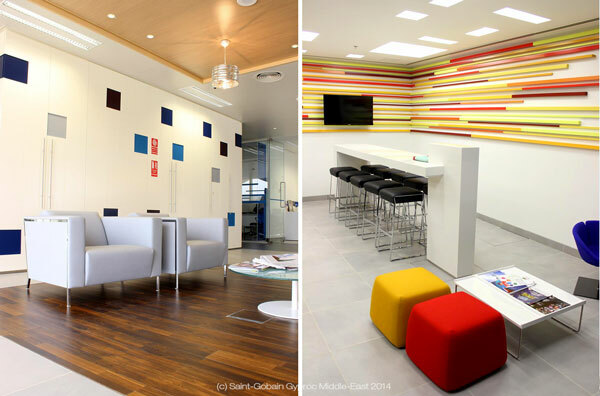 Gyproc systems were chosen because of their high fire rating and their excellent acoustic performance, which helps to reduce sound reverberation and noise transmission within the large office and public areas. Extensive use of glass partitioning in the building also presented a challenge for sub-contractor Delta, who used Gyproc systems to create fire-rated suspended bulkheads above the glass in order to maintain demanding levels of fire performance. 150mm and 200mm wide GypWall CLASSIC system, lined each side with two layers of Gyproc FireStop fire resistant plasterboard, achieved 120 minutes fire performance and up to Rw51dB sound insulation, as well as the highest BS5234 ‘Severe Duty’ impact rating to minimise surface damage and protect the high quality interior décor. 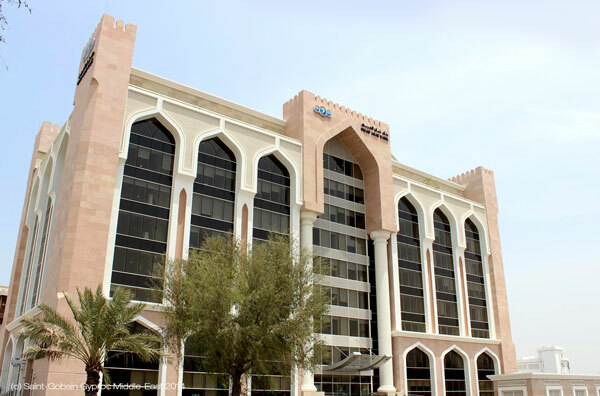 Located on a prominent 3,650m2 plot in the busy commercial district of Muscat City, the new headquarters building has enabled Oman Arab Bank to consolidate all of its departments under a single roof. The customer-centric design even includes a new state-of-the-art ‘Al-Arabi’ 14-terminal stock market trading hall which will keep investors in touch with financial markets around the globe.